4.53 out of 5 based on 109 reviews. As busy mums with families constantly on the go, keeping them all connected when you’re all out and about can be a real challenge! 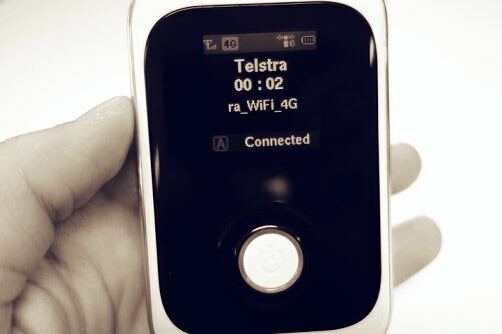 The Telstra Mobile Wi-Fi 4G device may be the perfect solution to get your Wi-Fi compatible devices online when you and your family are away from your home internet. 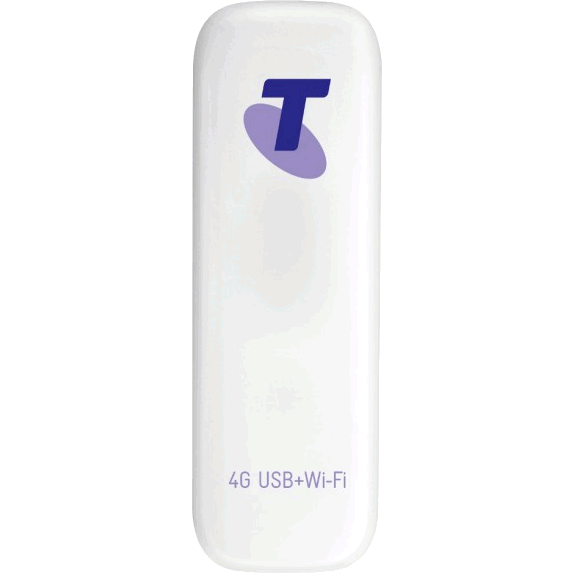 The Telstra Mobile Wi-Fi 4G is a small, lightweight mobile broadband device that lets you create your own portable Wi-Fi hotspot. This handy device lets you get a bigger experience than your smartphone. So you could be at a cafe on your laptop doing some online shopping while the kids keep themselves entertained watching YouTube® videos or checking out the latest apps on their tablets. The Telstra Mobile Wi-Fi 4G can connect up to 5 Wi-Fi compatible devices to the internet, so now the whole family can get their favourite Wi-Fi compatible devices online at the same time when out and about. It’s so easy to get started with the Telstra Mobile Wi-Fi 4G. Simply pick the Telstra Mobile Broadband Freedom® Plan that best suits your family’s needs and choose to include the Telstra Mobile Wi-Fi 4G device. No software or additional installation required. Easy! It has a convenient LCD screen so you can easily check data usage for each session along with other useful indicators such as battery life, signal strength and number of users connected to the device. It also has security settings to help keep your internet connection safe and secure. Mums selected to be part of the Telstra Mobile Wi-Fi 4G product review team received a Telstra Mobile Wi-Fi 4G Device complete with 3GB data to use in Australia. We’re asking mums to connect their family’s multiple Wi-Fi compatible devices to the internet while they’re out and about. We’ll be asking them to post reviews and ratings when they first receive and connect the Telstra Mobile Wi-Fi 4G device and then over the following month while they are out and about. This is a great product. I carry it with me everywhere, all together with cords and login details in a sunglasses case in my handbag. I have tried other companies, like Vodafone and Optus. Telstra is the more expensive out of them all, but definitely is worth it because it has coverage just about every where! Saves time with such a fast internet connection! We have been Telstra customers for many years now. They are well known for their excellent reception in even the poorest of reception areas and have always been incredibly reliable. Now with the portability of their Mobile WiFi 4G Device and convenience of being able to connect five devices to the one mobile hotspot they truly do make everyday internet use even easier, faster and even more flexible. Telstra truly have excelled themselves with this device! Have brought the device & am loving the fact that I can check my emails on my IPad :). Great to be able to use these to keep up to date with things back home! We are able to face time the family that did not come to Perth! My family and I use this everyday. Great coverage in a rural area and we don’t need to fight anymore over who is going to use the computer for the internet. I am also able to take it with me on the road and it covers my every needs. 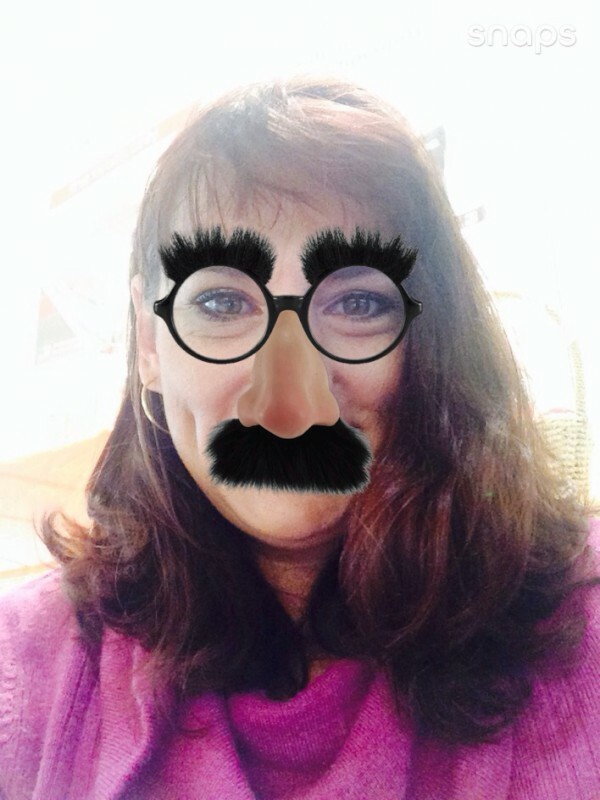 Sadly after last week we were called back to get further work done on our car…not so sad though as i sit here with my TELSTRA 4G checking my mail and search for a rental property! Son is also playing on our old iphone so he is happy…which makes mum happy!! So impressed with this little light weight machine! Def top it up and use it again. Attended a holiday timeshare presentation. Was great to be able to take the IPad & check our membership details during a recent owner timeshare presentation. In the past we would write the info, race home & try to temember what we were supposed to do. Fast download speed!!!! It’s great to have something such as Internet avaialble via a small little device that is portable, however I have found that the battery does not last long at all and when being used, someone downloading something etchin it chews through the battery morel the batter seems to last about 4hours for us max so as much as it is portable etc it isn’t good for long trips. It is really easy toget it up and started and connect. If anything it needs to come with a car charger or have a better battery. This device is fantastic. The network coverage and the ease of use is one of the biggest bonuses. Its great to be able to access the internet at faster speeds (rather than chewing up mobile phone data). Great for on the go people, or anyone who needs to be online while they are away from the home! I was fortunately given this little device by Telstra due to the excessive length of time it was taking to fix our internet connection at home, I was a little hesitant as I am not tech savvy, however it was easy to connect all the laptops in the home to it, you can also take it with you when you go out, so the mobility of it is fantastic, My sons took it with them when they went out to a friends and thought it was great, I think that for anyone who uses their laptop or tablets away from the home or office it is fantastic, it worked well, it had fast speed, easy to connect, only problem I can see is that it is expensive to recharge as it is mobile. if the cost was to come down I think it would be better, but it is a great product. I got this because I get no internet on my mobile down the street, it works brilliantly. I have Adsl2 at home so it is only used down street but that is what it was bought for and it does it’s job great. I do think it could do with a little longer battery time though. It works a lot better then the Vodafone dongle however it is more expensive especially when you already have dial up at home and only use it for down street. For those on a budget it would work oout cheaper to get adsl2 at home if you didn’t require it down the street. Otherwise it’s good reception. I bought the Telstra Mobile Wi-Fi 4G Device when I had an extended hospital stay and it’s fantastic. I had access to the internet on my laptop without any dropouts and the signal strength was good all of the time. It took a little bit to set up but once its set up its so easy to click and connect. Love being mobile and still having access to the internet and my emails. Highly recommend this device and the carrier Telstra. easy to set up and great accessibility and signal strength. it connects to devices pretty quickly which is great. This is a must so easy to use on your mobile phone, tablet & laptop. It's versatile great for all ages. Versatile, broad range, quick connection. I used this device when I went interstate so I had a reliable internet connection. No problems with it at all and was always reliable. You get what you pay for. I love the product itself but feel that Telstra lets it down by the plans (pre and post paid) that accompany it. It would be great if they offered one of these with a larger down load limit so that families could use it as their all in one internet provider as opposed to having to have a landline connected as well. Boring family days so he always has his iPad . Love the prepaid option as I feel I am more in control of the spend and usage and the speed and coverage is fantastic. So glad I made the change won’t be bothering a fixed Internet connection again.